In February 2014, the EPA took the unusual action of blocking a mine before the project owner applied for a development permit. A small Canadian miner is confident Donald Trump’s U.S. presidential win will let it proceed with an application for a copper and gold mine in Alaska that has been stalled almost three years by environmental regulators aiming to protect the world’s biggest sockeye salmon fishery. Ronald Thiessen, chief executive officer and president of Northern Dynasty Minerals Ltd, said he expected the U.S. Environmental Protection Agency to announce in the first quarter of 2017 that it will let the application process proceed for the controversial project. He said the company has held discussions with Trump’s transition team, including Myron Ebell, who heads the EPA transition. Shares in Northern Dynasty, which owns the massive Pebble deposit in southwest Alaska’s Bristol Bay region, have more than doubled since the U.S. election on Nov. 8. The shares surged 23 percent on Nov. 9 alone. In February 2014, the EPA took the unusual action of blocking a mine before the project owner applied for a development permit. The company has estimated that removing that pre-emptive veto could happen three to four months after an EPA announcement. This would allow Northern Dynasty to seek a deep-pocketed partner and resume permitting the project, one of the world’s biggest undeveloped copper and gold deposits. Trump takes office on Jan. 20. Trump’s staff did not respond to email requests for comment. According to the EPA, the Bristol Bay watershed supports the world’s largest fishery of sockeye salmon. Environmental groups oppose the mine, as do many native residents who rely on the fish as a subsistence food. Many commercial fishermen and sport fishermen are also opposed. Last year, U.S. President Barack Obama used a trip to the area to try to cement his environmental legacy. Overturning the EPA veto would be a potent symbol of Trump making good on his promise to remove regulations stopping the expansion of drilling and mining. “It is one of the most stunning projects in the world but there has been this giant bull’s-eye on our back. Nobody wants to get into this fight with the government,” Thiessen said in an interview. Northern Dynasty launched legal action against the EPA in May 2014. This October, the two sides agreed to mediation to try to end their dispute. Northern Dynasty wants a partner to replace Anglo American Plc, which spent more than $500 million on the project before pulling out in 2013 as gold and copper prices fell. Two months after the EPA’s 2014 veto, another global miner Rio Tinto, at the time Northern Dynasty’s biggest investor, said it would give its 19.1 percent stake to charity. With prospects reviving for the project and big, long-life gold and copper deposits increasingly hard to find, “any large gold or copper mining company is going to be looking at the Pebble project,” said Chris Mancini, research analyst at Gabelli Funds, which owns shares in Northern Dynasty. 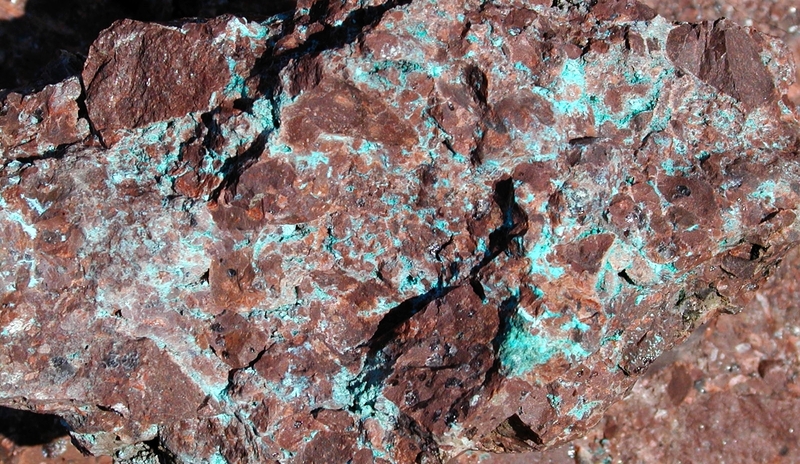 Copper miners such as U.S.-based Freeport-McMoRan and Canada’s Teck Resources might take a look at the project, independent mining analyst John Tumazos said. Freeport and Teck declined to comment.